Gender bias is far more deeply rooted than we may realize. The unconscious bias assumes that men are more closely associated with work and women are associated with family. 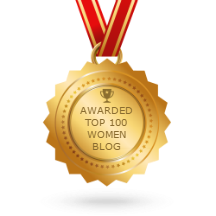 It is this belief that is often what keeps women from advancing in the workforce, especially in the world of technology. Google has an engineering workforce that is only 17% female. Pinterest’s technical team is 21% female. Facebook has a technical workforce that is 15% female. Apple’s global engineering workforce is 20% female. The Ten Highest-Paid Female Athletes Combined Earned Less Than The Top Male Athletes. The top ten highest-paid female athletes last year together earned a combined $105 million. Three of the top-earning male athletes, U.S. Boxer Floyd Mayweather, Argentine Soccer player Lionel Messi, and Portuguese soccer player Cristiano Ronaldo, each earned more than $105 million last year. How is a woman to respond to that discrimination? Disability: This IAT requires the ability to recognize symbols representing abled and disabled individuals. Weight: This IAT requires the ability to distinguish the faces of people who are obese and people who are thin. It often reveals an automatic preference for thin people relative to fat people. Race: This IAT requires the ability to distinguish faces of European and African origin. It indicates that most Americans have an automatic preference for white over black. Age: This IAT requires the ability to distinguish old from young faces. This test often indicates that Americans have an automatic preference for young over old. 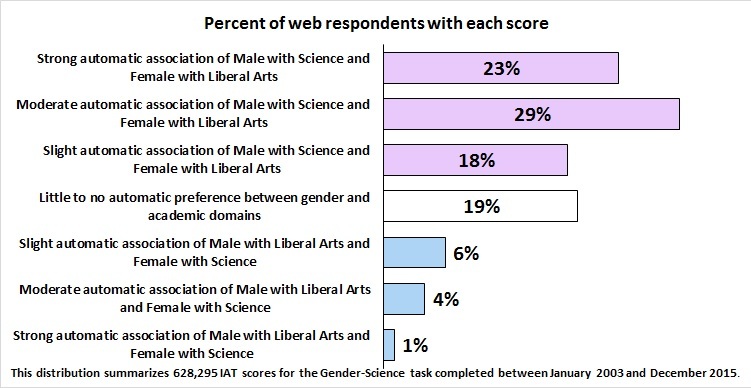 Gender – Science: This IAT often reveals a relative link between liberal arts and females and between science and males. 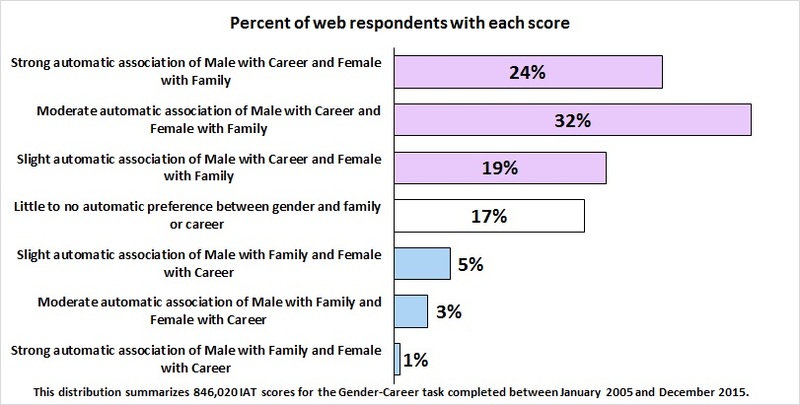 Gender – Career: This IAT often reveals a relative link between family and females and between career and males. Aside from a few opening clarifying questions, the bulk of the quiz involved a speed round of connecting gender to different keywords. In the beginning you are confident in your beliefs of equality in the workplace. Yet, on some unconscious level, through the measurement of your hesitancy to respond, your inner bias is revealed. The lesson from this is just how deeply rooted our bias is. I would imagine that age and experience will have some impact on your responses, however, what we believe isn’t often how our mind is processing information. 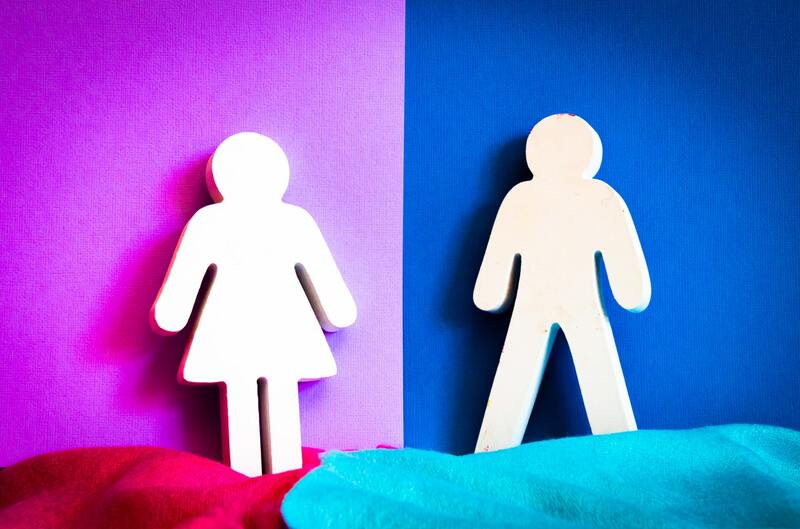 How Do We Change Gender Bias? As I researched deeper into the subject of unconscious gender bias, every article references the need to change our beliefs on a conscious level. There is no silver bullet. There is no team exercise that a business can implement that will magically change the core bias of our associates. It requires honest exposure to the challenge and then repeated attempts at pushing through our comfort zone to put ourselves in the shoes of the other people on our team. The process of recognizing and changing gender bias is a very personal, one-on-one process, however, managers can help facilitate the process. The first step is to recognize that gender bias exists. No one is immune. I invite you to take one or more of the bias quizzes available on the Harvard website so that you can gain a clearer understanding of how your mind is processing information. Giving your attention and time to those who look like you in terms of age, gender, race or academia reinforces unconscious bias. This value system should focus on fair treatment and respect for others. A basic human right, but one that we can often forget or overlook in the heat and pressure of daily life. Try using an unconscious bias lens when considering job promotions or how you interact in teams. We all are biased to some extent, but consciously becoming aware of it and taking action to address it will benefit us all. Don’t be that person excluding others in a meeting; recognize your unconscious actions and don’t let them hold you or others back. Where we have the opportunity to make a difference, we must stand up and take action. Changing unconscious gender bias is a process that must be repeated and reinforced on a daily basis. 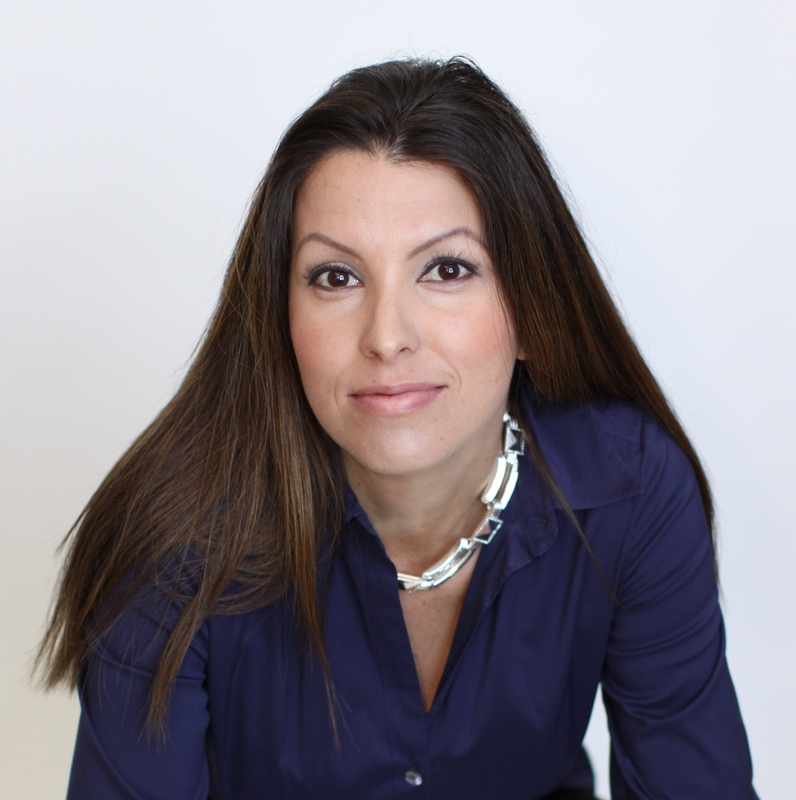 If you are experiencing gender bias in the workforce, speak up. Bring the situation to your boss and suggest the team take the Harvard quizzes to better understand how people are feeling. Seek out information from companies who have already implemented gender equality programs to help recruit and retain women in positions of leadership. The good news is that through honest discussion and a concerted effort to change, gender bias can be overcome for the benefit of the entire company.